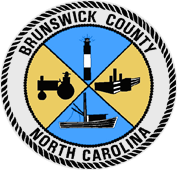 The Brunswick County Sheriff’s Office invites and welcomes your messages. Use the form below to send a Sheriff’s Office employee a message. We will make every effort to respond to all inquiries or suggestions. However, this form of communication is only checked periodically throughout the week, so response times may vary. This form should be used for non-emergency, general contact communication only. If you have an emergency, please do not use this form, call 9-1-1. For non-emergency police assistance, call us at (910) 253-2777 or toll-free at (800) 672-6379. To send a message, specify who you would like to contact, enter your message and press the “Send Message” button. Please include as much information as possible. Please do not use this form to report crime. To report crime, immediately dial 9-1-1.